The Wichita Soaring Association (WSA) also calls Sunflower its home. This club is dedicated to training soaring pilots in an affordable manner. WSA owns three gliders and keeps them in the hanger at Sunflower. These gliders are a pair of two-place trainers (a Schweizer 2-22 and a 2-33). The two placers are steel tubing fuselages with fabric cover and a combination of aluminum and fabric for the wings and tails. WSA also has a German Schleicher Ka-6CR glider available for use. This glider has a 15-meter wing and is stored inside its own trailer. Students learn in the Schweizer trainers and learn cross-country technique with the Ka-6. Many pilots remain members in this club to have access to two-seat gliders for giving rides to friends, even if they own a glider of their own. This is also a volunteer club and members help keep the gliders and other equipment clean and in good condition. There are also volunteer instructors who provide the training. Instruction is available most Saturdays during the season. Students can get two or three training flights in an afternoon depending on instructor availability and towplane load. The WSA is a non-profit organization founded in 1956 for the purpose of furthering the knowledge in sustained motorless flight. It was formed to help others learn to fly safely without power. 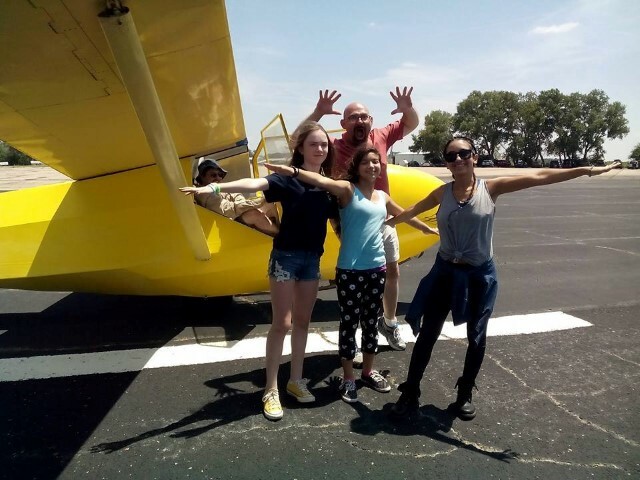 The purpose of WSA is to own, operate, and maintain sailplanes and to provide economical motorless flight. Most members have previous experience in powered aircraft, and they "check-out" in gliders after a few transitional flights. Such experience is not a prerequisite, however, and it is entirely possible to start flying gliders with no previous flight experience. The process is a little longer, as you are learning the fundamentals of flying in addition to the unique attributes of gliders. Some 25 to 40 flights will be required in preparation for the first solo flight. Three or four short flights per day are a reasonable average to anticipate. It should be emphasized that soaring is not for the individual with a casual interest in flying. It is hard work, often spending time in very hot conditions on an open concrete airport ramp. Considerable skill development is required since there isn’t a chance for a go around. For those who love real flying, however, it is THE GREATEST SPORT IN THE WORLD! Soaring the club way is more than just being more economical. Being a club soaring member means that you will have to work to make the club go. But, as a reward for your hard work, you will gain the help of some of the most experienced and capable soaring people in the state of Kansas. The rates for learning to soar the club way, are extremely attractive, but it is only because many people are devoting much of their time and effort to help others to soar. WSA members are always ready and willing to help a newcomer who shows that he really wants to learn to soar. 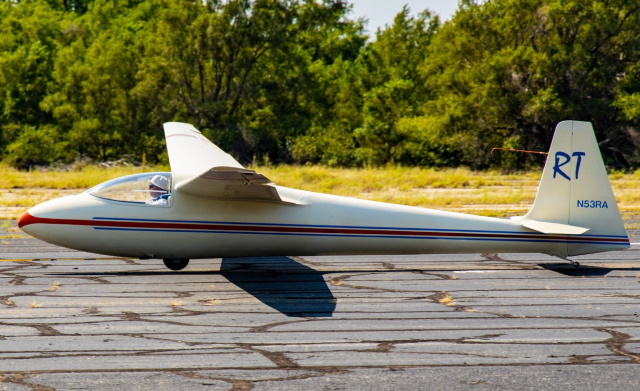 WSA currently owns two two-place sailplanes for training, and one single-place sailplane for soaring enjoyment. WSA operates out of Sunflower Aerodrome near Yoder. Cost of membership in WSA includes a $50.00 nonrefundable initiation fee and $2.00 per month dues. Instruction by a qualified instructor is available at $1.00 per flight. 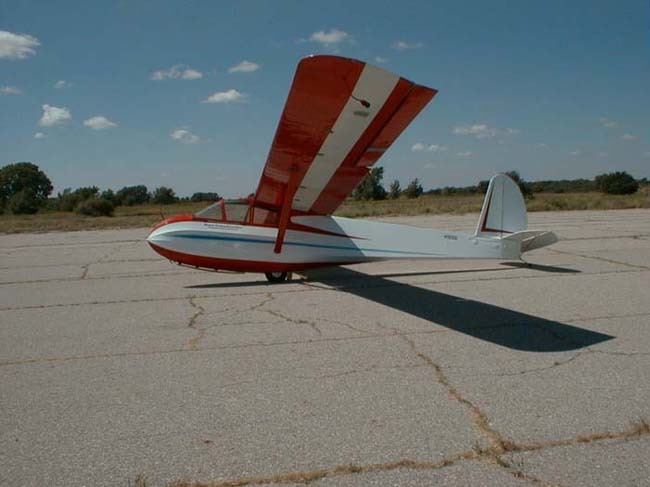 Tows by KSA towplane (average $20.00 for KSA members) are available at Sunflower Aerodrome and must be paid by the individual member to the KSA Towplane. Demo flights in a club trainer are available for $30.00.